MWM NEWS BLOG: MWM X Ray Ban X NYC : Locations. 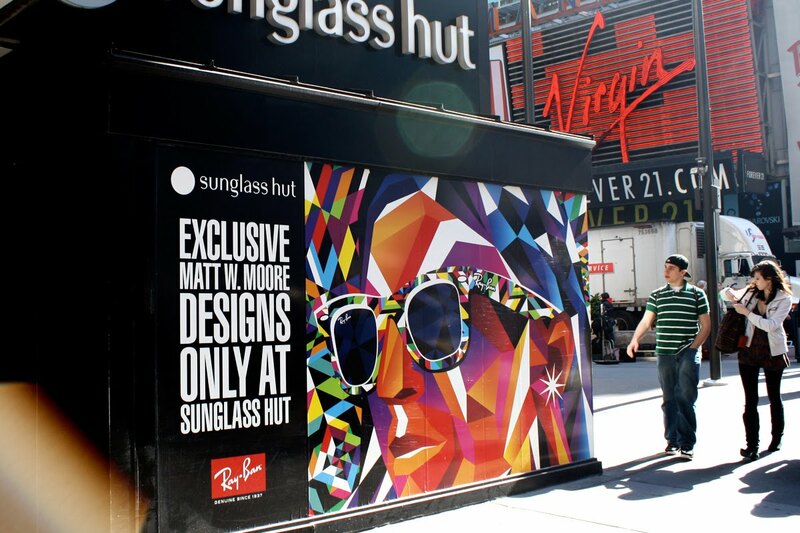 MWM X Ray Ban X NYC : Locations. 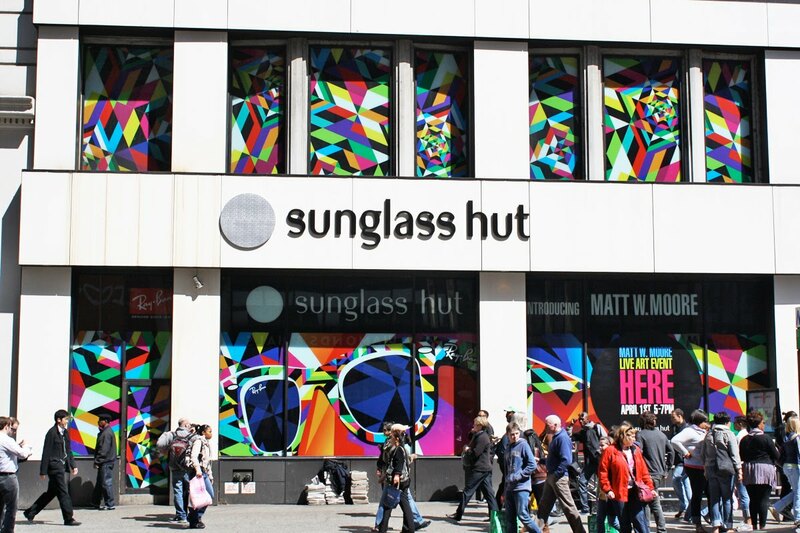 The Sunglass Hut Retail Stores in New York City are celebrating this collaboration with instore and mega exterior signage and vinyl wraps. Pictured above is the Soho location. Here's a map of all of them. The new 5th Ave Store will open next week in full force as well. Awesome! Herald Square. Two floors. 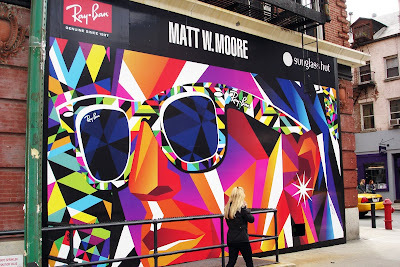 *Site of Live Mural Event : Next post. Time's Square. This was a trip for me to see in person. Ten years ago I'd spend days in that Virgin Megastore listening to new rap albums on their headphone walls. Now my art is across the street, and it is a Forever 21 Store. Oh, the irony of it all. Haha.